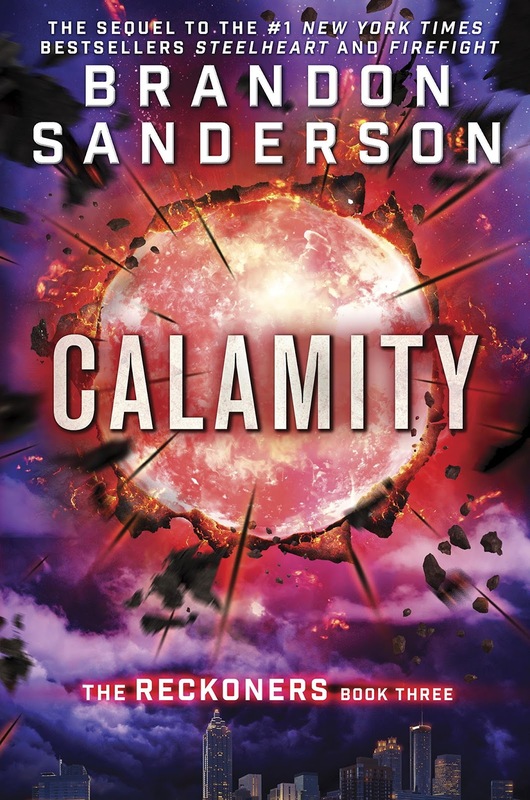 Calamity is the third book, and the conclusion of, The Reckoners trilogy. It wraps everything up very nicely and overall it's a really good book. The Reckoners has become one of my favorite series written by Brandon Sanderson. The basic premise is that a star showed up in the sky and suddenly a bunch of humans all gained superpowers at the same time. Unfortunately, anyone who uses their powers gets corrupt and turns evil. So, it's a superpower world with no heroes. The Reckoners are a group of humans who set out to take down the superpowered "epics" by learning their weaknesses and exploiting them. That's where the series starts but by this third book we know so much more about epics, their powers, how their weaknesses work, and that it's possible to fight through the evil to some extent. It's super hard to write about this book without getting into spoilers and I don't want to spoil it for anyone. But, I highly recommend this series. 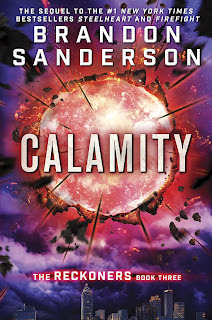 If you've read the other two you should definitely grab Calamity. If you haven't read any of them go grab Steelheart and give it a read. It's great! Sad to see this series is over but I really like how it resolved in the end!